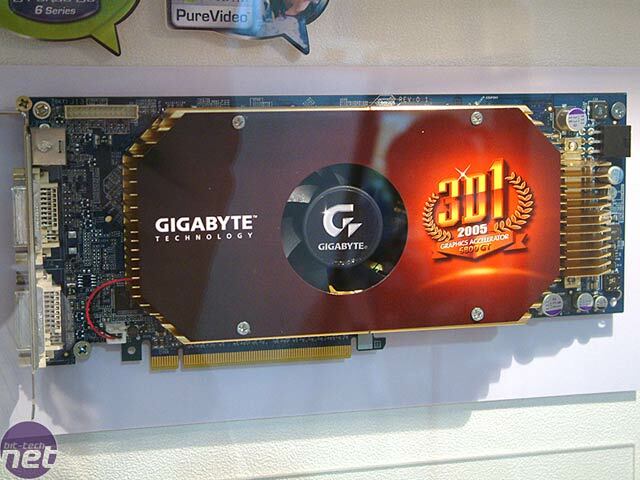 Today, Gigabyte have announced a rather interesting new video card. The technology has been seen before in the form of ASUS' dual GeForce 6800 GT, but the implementation is a little more advanced.with some interesting twists. Firstly, the card is no taller than a typical single GeForce 6800 GT, and is smaller than ASUS' implementation by a long shot. Currently it is the fastest 'single card' solution on the market today. It also only uses a single 6-pin PCI-Express power connector, allowing for much better cable management, and it actually resembles a typical video card, unlike the ASUS solution in its current form. 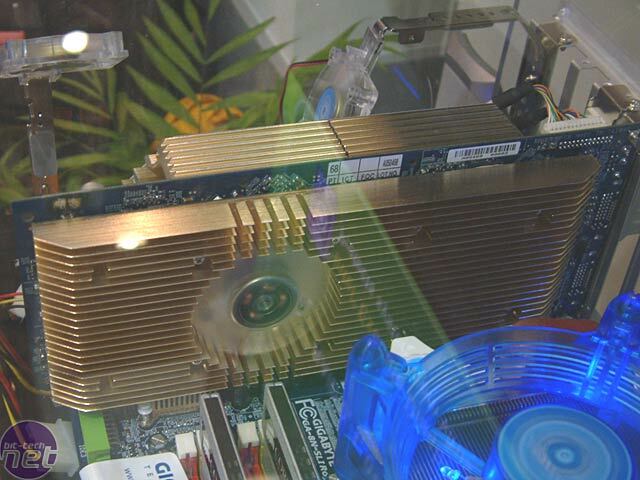 The card features a total frame buffer of 512MB, with each GPU allocated 256MB. Of course, this can not be shared by the two GPUs, so it's 256MB maximum per GPU. The clocks are unconfirmed at the time of writing, but we suspect that they may not differ much from a typical GeForce 6800 GT clock speed of 350/1000MHz. The interesting part of the card is that it can power up to four displays via an additional blanking slot, which is already taken up by the cooling edsolution, so fear not, you aren't going to lose another blanking slot. Speaking of the cooling solution, we got some more pictures of the back of the card, as the cooler is a two part solution that fits on both the front and back of the video card. It was surprisingly quiet - a theme that goes through all of Gigabyte's video card lineup, with the company's focus clearly on the good health of the consumer's ear drums. Would this be a card you'd invest in? Discuss the fineprint, here.